Secure & Certified E-Waste Recycling in Wilmington, the rest of North Carolina and across the United States. With IT Asset Disposition, Certified Hard Drive Destruction and On-Site Hard Drive Shredding, we are Wilmington’s premier electronics recycling company. Recycle e-waste in Wilmington with our convenient and responsible recycling services. Our convenient electronic recycling system will provide prudent management and handling of all of your electronic wastes. Recycle computers in Wilmington with our convenient e-waste pickup and recycling services. Our convenient electronic recycling options will ensure proper handling of all of your e-waste. Secure Shredding of Hard Drives in Wilmington and the surrounding area is safe and certified. We can send our special hard drive shredding system right to you and shred your hard drives while you watch. IT Asset Disposition (ITAD) is no easy job. This is a problem that most, if not, all companies in the country will have to address it regardless of the size of the asset like old computers and hard drives that they will have to dispose. Wilmington IT Asset Disposition that is being offered by All Green Electronics Recycling is offering an approach that would ensure the proper disposal of unusable and dormant IT assets and in the process increasing the productivity level of the companies involved. 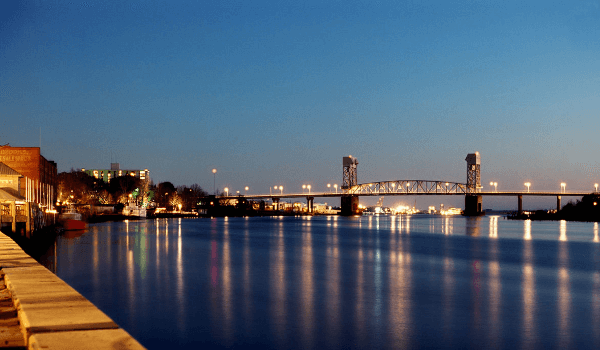 This port city located in the southeastern coast of North Carolina is also referred to as the principal city of the Wilmington Metropolitan Statistical Area, a metropolitan area that includes New Hanover and Pender counties. Wilmington’s economy is dependent on electrical, medical, electronic and telecommunications equipment, clothing and apparel, food processing, paper products, nuclear fuel and pharmaceuticals. Because of its staggering growth in the 1990’s, Wilmington is now the second fastest growing city in the country next to Las Vegas Nevada. With economic growth also comes waste disposal problems. But these concerns can easily be taken cared of with the help of the best IT Asset Disposition Company. For your IT Asset Disposal needs, call us today. Wilmington IT Asset Disposition offers the most secure and professional way of managing your IT assets.